• The severity of the force applied to the area. • The connective tissue support at the site of injury—increased extravasation of blood occurs around lax, loose areas of skin, such as the eye. • Skin color—bruising is more visible in pale skin. • Diseases affecting coagulation, blood vessels, or connective tissues. • Continued extravasation of blood and tracking between tissue planes, which may delay the appearance of the bruise or lead to a different site of bruising from the site of injury. • Bruising is reduced if pressure is maintained over the area until death has occurred or when death has occurred rapidly. • The use of an implement. The pattern or shape of the bruise can reflect the implement used. For further information, see ref. 17. ■ Fingertip bruises consisting of circular or oval bruises from squeezing, poking, gripping, or grabbing injuries. ■ Linear petechial bruises in the shape of a hand caused by capillaries rupturing at the edge of the injury from the high-velocity impact of the hand slap. ■ Pinch marks consisting of paired, crescent-shaped bruises separated by a white line. ■ High-velocity impact causing a rim of petechiae outlining the pattern of the inflicting instrument, e.g., parallel sided marks from sticks—"tramline bruising"
■ Higher velocity impacts causing bruising underlying the injury in the shape of the object used, (e.g., wedge-shaped bruises from kicks with shoes). ■ Pressure necrosis of the skin from ligatures, causing well-demarcated bands partially or fully encircling limbs or the neck. ■ Coarse speckled bruising from impact injuries through clothing. ■ Pinprick bruises from ruptured capillaries (e.g., suction bruises, squeezing, slapping, strangulation, or suffocation). • Facial—soft tissues of the cheek, eye, mouth, ear, mastoid, lower jaw, frenu-lum, and neck. • Inner thighs and genitalia (strongly associated with sexual abuse). • Buttock and outer thighs (commonly associated with punishment injuries). • The number of accidental bruises increases with increased mobility of a child. • More than 10 bruises in an actively mobile child should raise concern. For further information, see refs. 14-16. • Bruises cannot be reliably aged. • The development of a yellow color in a bruise is the most significant color change, occurring, at the earliest, 18 hours from the time of injury (16). • Bruises can change color at different rates, and several different colors can be present at the same time in the same bruise. • Bruises of identical age and etiology may not show the same colors. ■ Fresh cuts and abrasions overlying a bruise. ■ Swelling underlying the bruising. ■ Pain or tenderness at the site of injury. • Accidental injury—commonly on bony surfaces, appropriate history. • Artifact—dirt, paint, felt tip, or dye from clothing or footwear. • Benign tumors—halo nevus, blue nevus, or hemangiomas. • Vascular and bleeding disorders—thrombocytopenic purpura, Henoch-Schoenlein purpura, hemophilia, or purpura in association with infection (e.g., meningococcal septicemia). • Disturbances of pigmentation—cafe-au-lait patches or Mongolian blue spots. • Hereditary collagen disorders—osteogenesis imperfecta or Ehlers-Danlos syndrome. In the presence of excessive or reported spontaneous bruising, it is reasonable to exclude an underlying bleeding disorder. However, O'Hare and Eden (18) found abnormal tests in 16% of 50 children with suspected NAI and concluded that the two conditions can coexist. Suggested tests include full blood count, platelet count, prothrombin time, thrombin time, partial thromboplastin time, fibrinogen level, and bleeding time (after discussion with a hematologist). • The status of the skin (ante- or postmortem) and the skin condition. • The time period between the bite and the examination. • The clarity of the marks and the reaction of the surrounding tissue. 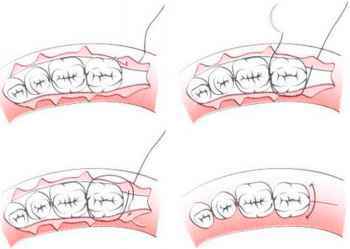 • The strength of the bite pressure (stronger bite pressures cause deeper skin depressions). • The strength of the sucking pressure (stronger sucking pressures lead to reduced markings by the incisors). • When defined bite marks are found, advice should be sought from a forensic odontologist. Impressions and dental casts of suspects can be made that may be able to establish the identity of the perpetrator. • Bite marks can be found on any site of the human anatomy, and when a single bite mark is found, particular care should be taken to search for other bites. Vale et al. (21) found that 40% of their victims had more than one bite and 22% had bite marks in more than one anatomic site. • Documentation of the bite should include the location, contour of the skin surface, size and number of teeth marks, diameter of the mark, and intercanine distance. • An intercanine distance of 3 cm or more indicates that the bite was inflicted by a person with a permanent dentition (an adult or a child older than 8 years) (22). • Plain sterile swabs (moistened, if necessary) can be used to obtain residual saliva from the bite area for forensic purposes. The swabs should be air dried and managed according to standard procedures for the collection of forensic evidence (see Chapter 3). • Good-quality photographs, both black and white and color, should be taken. These should include a scale (rigid L-shaped measuring rule) and, when appropriate, a color standard. Serial daily photographs are useful to record the bite mark's evolution and optimum definition.